If you listen carefully to the sounds of Penang neighborhoods, you will hear many different calls signaling various mobile services. There’s the loudspeaker calling out, “Old newspaper!” in various languages from the van collecting paper for recycling. There’s the “toot-toot” horn of the truck delivering gas cylinders for home kitchens. And there’s the dingalingaling of a handbell being rung by the roti man as he weaves his bakery-shop-on-a-motorbike through the streets. See, if you want some fresh baked bread in Penang, you don’t need to go to the bakery; the bakery comes to you! Ever since I first visited Penang, I’ve seen these package-laden motorbikes tooling around the highways and byways. It’s just amazing to see so much stuff being carried on just two wheels! I’ve always wanted to get a picture of them, but either didn’t have my camera ready, or couldn’t get a good shot of them on the road. 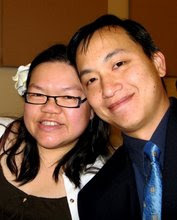 On our recent visit to Penang, I asked Annie’s uncle if we could actually see one. He said that the motorbikes are dispatched early in the morning from a nearby bakery, and one of these bikes comes by his house every afternoon between 3 and 4. You just have to listen for the bell and come out before he passes by. So the next day, after a large lunch followed by dessert at the Penang Road Famous Teochew Chendul stall, we arrived back home, just before 3 pm. I was feeling sleepy and wanted to take a rest but my head had barely hit the pillow when I heard the telltale bell ringing. I immediately bolted out of bed, grabbed the camera and made for the gate, barefoot. The roti man had stopped to do business with a couple of customers at the intersection, so I got my Crocs on and waited, camera in hand. As he motored up our street, I clicked away. The Indian driver stopped, dropped and locked his outrigger stands, and dismounted from his bike. He was carrying a lot of different packaged breads, crackers, chips and assorted fried snacks on his bike but we were interested in only one thing: fresh Roti Bengali. He proceeded to swing open his bread cabinet, slide out his cutting board, and cut a loaf into thick slices. He offered to carve off the crust but we wanted the crusts left on. Then he packaged the loaf in a plastic bag and collected the money. I don’t know how much the loaf cost, as Uncle wouldn’t let us pay. Any Penangites know how much a loaf of Roti Bengali costs nowadays? When we were done, he got back on his bike, started his motor, lifted up his stands and slowly puttered up the street to his next stop, just a few houses away on the opposite side of the street. We took our bread back inside and, despite our large lunch and recent dessert, immediately dug in to the bread. This Bread is the Bomb! According to a New Straits Times article, Roti Bengali was first baked by the original owners of Ismailia Bakery in the 1920’s. The bread presumably got its name because customers mistakenly thought the Urdu-speaking baker was a Bengali. Whatever the origin, the name stuck and generations of Penangites have been enjoying this bread. A loaf of Roti Bengali is about 3 inches square and six inches high with a domed top. The crust is leathery and chewy, but the crumb inside is moist and pillowy-soft. And talk about fragrant! It smells like freshly baked bread should. There are many ways to enjoy this bread – with curry, soup, or as a sandwich. But we went with the quick and delicious route – spreading on some butter and a thick layer of freshly made kaya (coconut custard jam). The only way it could have been better is if the bread were lightly toasted over charcoal. This is just another example of why there’s no place like Penang. I can’t wait to get back there and enjoy another loaf of Roti Bengali from the bakeshop on a bike! 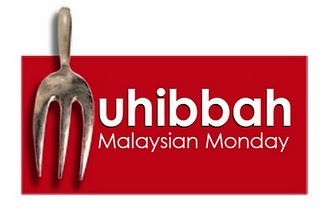 I am entering this post in the Muhibbah Malaysian Monday roundup, hosted by Sharon of Test with a Skewer who jointly created it with Shaz from 3 Hungry Tummies. This is the third in a series of Penang food posts that we’ll be putting up, hopefully every Monday. Don’t miss any of them; be sure to subscribe to our blog via RSS or email! I di d not know the Roti Man still existed…lol! I have not seen one since I can’t even remember when. That roti sure taste good with fresh homemade kaya. You are making me crave for some now…sigh! As long as people crave Roti Bengali, these Roti Men will be around. What an interesting story! Thanks for the pix. I wonder if anyone can tell me what the Chinese characters are for Penang. interesting story! I have only seen Indian men on these motorbikes in Penang. After working hard for her money, I certainly hope that her money is working hard for her now! You should look out for the Indian guy with the pole and 2 multi-layered baskets and a pot of Asam Laksa soup on a portable stove selling Nyonya kueh. I hope they still exist. Ah, the roti man. He still comes around certain areas. The last time I was visiting, he came past my aunt’s place in KL. I remember as a kid always getting excited when we heard the funny horn because we were allowed a treat, usually it was a cream bun or sometimes durian puffs And the sweet bread, oh man, my brother and I just ate it plain. Thanks for the great memories. SWIFT Theme by Satish Gandham. 55 queries in 0.710 seconds.